Have you heard about Kuta? Of course you are. 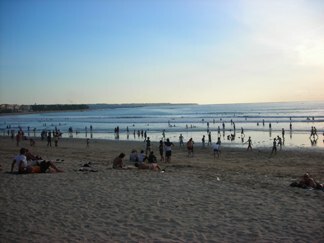 In fact this beach is the most famous one of all beaches in Bali. 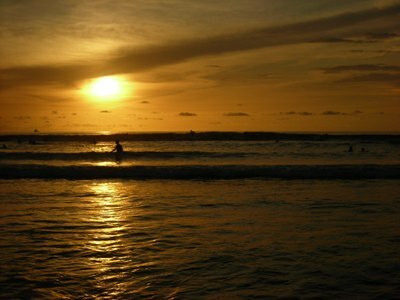 You might be even heard more about Kuta Bali instead of Indonesia itself. 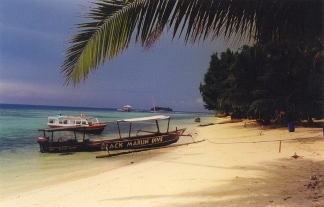 Commercial and noisy beach, but still attract thousands of visitor each year. Wouldn’t you attract into something like that regardless the crowd?? The beach itself is beautiful with white sand and beautiful palm trees, the ideal picture of vacation in the Tropical Island, and the sunset is just magnificent. This is the excellent place to do some surfing, diving, and they have the best and luxury hotels and restaurants. Anything what a dream vacation could be, you’ll find in this place. There are enough things that keeps you stay in Kuta. Beside the short distance from the Ngurah rai Airport, kuta has more like hotels, bars, restaurants, banks, moneychangers, car rental place, anything you’ll need in one place. You have to never leave Kuta to arrange anything. Certainly this is the excellent place to do some shopping. Souvenirs, clothes, batik, handcraft, anything you would buy for your lovely one or your children, you’ll find here . 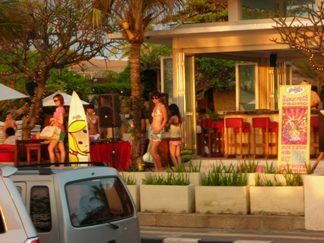 If you just want to simple enjoy sun, sand and party and good fun with spectacular sunsets, is Kuta maybe the right place for you. And not to forget, a good arrange hotel make an important part of a good vacation. And Kuta have plenty of them. You won’t find the real Bali culture here. If you would like to explore the real soul of Bali, go to Ubud, a place where you can find out the beauty of Bali culture.